W. W. Norton & Company, 9780393330250, 251pp. 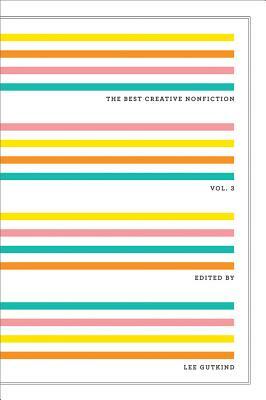 Anyone still asking, What is creative nonfiction? will find the answer in this collection of artfully crafted, true stories. Selected by Lee Gutkind, the godfather behind creative nonfiction, and the staff of Creative Nonfiction, these stories ranging from immersion journalism to intensely personal essays illustrate the genre's power and potential. Edwidge Danticat recalls her Uncle Moise's love of a certain four-letter word and finds in his abandonment of the word near the end of his life the true meaning of exile. In Literary Murder, Julianna Baggott traces her roots as a novelist to her family's strange, desperate (sometimes conniving and glorious) past and writes about her decision, in The Madam, to kill off a character based on her grandfather. And Sean Rowe explains why, if you must get arrested, Selma, Alabama, is the place to do it. This exciting and expansive array of works and voices is sure to impress and delight.